How long have you put off starting your garden? It’s not uncommon for almost everyone to wish that they had more of a handle on their beautiful outdoor space, but how do you find the time? Well, you make the time. This might be the summer that you begin, organizing your layouts and buying seeds of potential (and literal vegetables) to burrow into your soil. Getting started often requires an investment to ensure that you follow the hobby. Just like if you’re about to begin running, you purchase running shoes, gardening can often be sustained as a hobby for longer if you’re willing to invest yourself and your finances in its new beginning. Consider purchasing a shovel, a hoe, a trowel, soil, a compost divider, and of course a building from South West greenhouses. 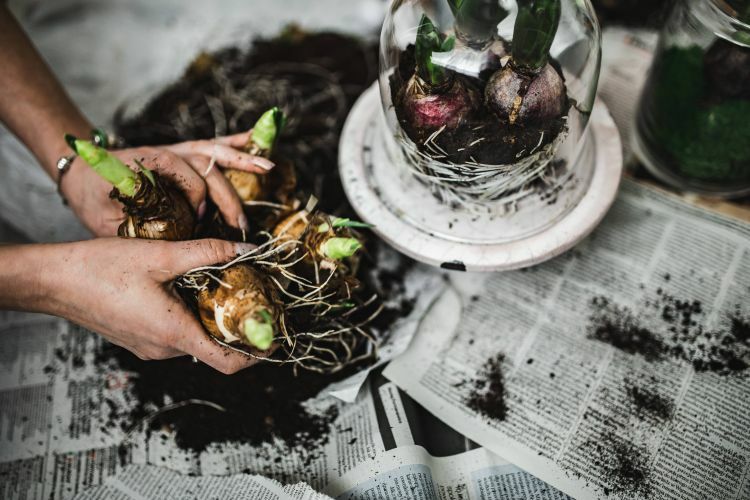 Starting your vegetable garden will then be a matter of reading guides, watching television programs, and nurturing your green creative vision. When unveiling your new potatoes, carrots and asparagus during your Sunday roast months from now, you’ll perhaps feel a pride you haven’t felt for some time. Of course, this is the time of year where all construction projects need to take place. Repairing your roofing can be a great example of this. Calling workmen to plug any holes, install new roofing felt, and perhaps isolate and repair damage in the roofing beams or shingles can grant you peace of mind, helping you know that you’re covered for the span of winter and beyond. Plus, if extensive works needs to be conducted on your property, the extended spells of pure sunlight should allow work to take place, free from any negative weather while the opening is required. Just like roofing, now can be a great time to work on your home security while the sun is out. This isn’t just installing security cameras and all of the bells and whistles, as often that can be done in any weather condition, and you may not require it. However, wiring a floodlight for your driveway, or digging the foundations for a thick new garden fence is all best conducted in the light of the summer, where moisture and rain will not impede your construction abilities. A new fence is best installed in the dry ground, and the conditions for planting purchased bushes at the border of your front garden can also help matters tremendously well. With this taken care of in the light, beautiful hours, you can be sure that the oft-dark winter months will be protected against, and your property will stay secure. With these summertime home organisational tips, you can stay productive in the summertime beauty.